When the MINI Cooper returned to the market in 2002, sports enthusiasts were immediately delighted. When the MINI Cooper returned to the market in 2002, sports enthusiasts were immediately delighted. The MINI Cooper offers the ultimate driving pleasure we can experience when driving a car. Today, the MINI Cooper offers more interior space and more refinement overall, but it has lost none of its sporty character. 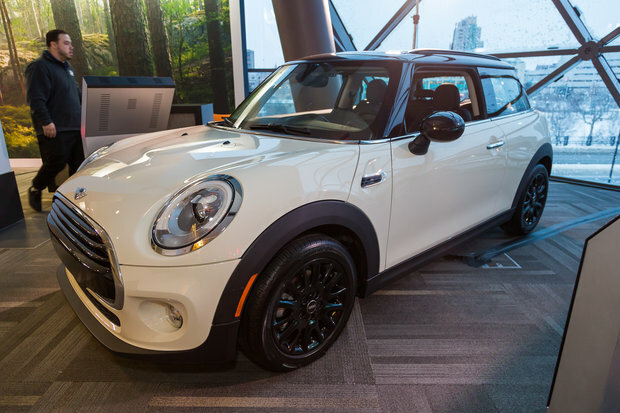 Come and discover the new MINI Cooper 3-Door at the Ottawa Auto Show today. The MINI Cooper 3-door is available in several versions, as is expected with MINI. 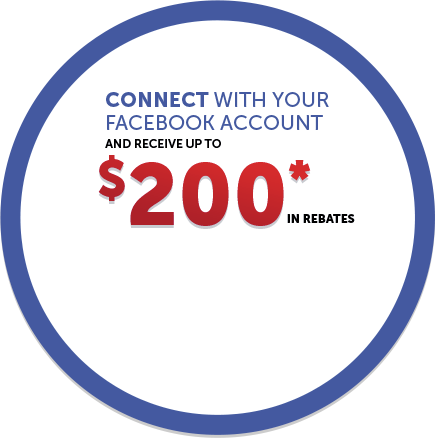 Indeed, the British manufacturer knows very well that MINI Cooper buyers want a car that is in their image, and MINI offers you several options and choices starting with the engines. The 2017 MINI Cooper 3-Door comes standard with a 1.5-liter three-cylinder engine that develops 134 horsepower, all for $ 21,990. This engine can be paired with an automatic transmission while purists will opt for a six-speed manual transmission. If you want even more power, the MINI Cooper 3-Door S is available with a 189-hp turbocharged four-cylinder engine. The MINI Cooper S reaches 100 km/h in just 6.7 seconds. If that's not enough, come and discover the new MINI Cooper John Cooper Works that offers 228 horsepower. The latter reached 100 km/h in just 6.1 seconds. Despite its compact dimensions, the MINI Cooper, even in its 3-door version, offers plenty of interior space for passengers in the front while also being able to accommodate passengers in the back who will find that they have quite a bit more room than in the previous MINI Cooper. In terms of fuel economy, the MINI Cooper 3-door stands out with an average fuel consumption rating of only 6.2 liters per 100 kilometers on the highway with the manual transmission. 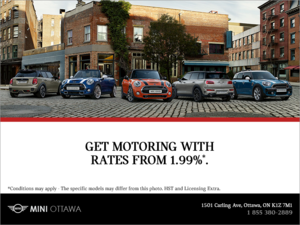 Come see the new MINI Cooper 3-Door today at the Ottawa Auto Show!